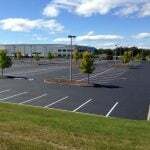 Whether you are searching for commercial paving contractors, sealing pavers, professional paver companies, parking pavers, or paver contractors, EastCoat Pavement Services are your local contractors for all your pavement and repair black top needs! We are professional, family-run pavers proud of our experience servicing commercial pavements since 1994. It all started when brothers Andrew & Lyman teamed up to create ‘The McWain Company’. 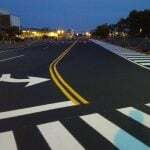 Today, with support from a staff of dedicated employees EastCoat has become a market leader in commercial pavement applications and has even been recognized as a Top 50 Contractor nationally by Pavement Maintenance & Reconstruction Magazine. Lyman started his asphalt maintenance career in the summer of 1991 working on a parking lot and tennis court crew. As a project for one of his business courses at Keene State College, he started his own sealcoating company in 1994, and things took off from there. Today, Lyman still enjoys getting out and running a line striping machine from time-to-time, or walking a first-time customer through a project. “It’s still fun, after all these years, to meet new customers and to know that they’ll be with us for years to come,” he said. 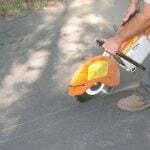 Andrew has been involved in the Asphalt Maintenance business for 20 years since his first “hard labor” job working summers on a parking lot sealcoating crew at the age of 15. After graduating with a Bachelor degree from the University of Maine, he and his brother Lyman built EastCoat from the ground up and are proud of what they have accomplished. “It’s a tremendous honor for us to be recognized as a Top 50 Contractor as commercial paving contractors. We’ve gotten to know and respect a lot of these other guys at the national level, and we’re blown away just being talked about in the same company,” said Andrew. 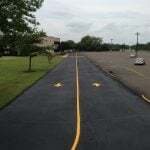 EastCoat was one of the few companies to make the list in multiple categories, including Sealcoating, Line Striping and Asphalt Repair, and the only company in Connecticut to be named in any category.